From Public Health England undertaking their first e cigarette campaign as part of the Stoptober initiative in 2017 to the Science and Technology Committee releasing its report in a show of support for vaping as a public health opportunity in front of the House of Commons - It’s been quite the year in the vaping industry. As we ebb closer to the conclusion of another year, let’s take a look at the key points forms the UK Vaping Industry Association’s Annual Report. The UK Vaping Industry Association (UKVIA) are a community of likeminded folk leading the way for the development and promotion of the vaping industry in the UK, as well as providing invaluable support to its members, who are made up of many of the most reputable e cigarette brands in the country, including yours truly, your ever trusty Vapour2. 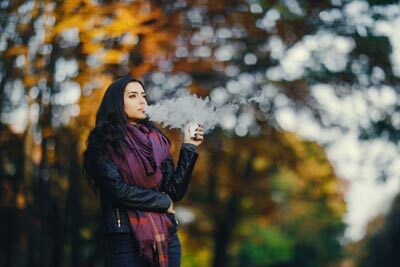 The association’s herculean effort to promote vaping to the masses and pave the way for a smoke-free society has seen the industry take leaps and bounds over the past few years, with the industry body campaigning and working closely with Government groups to, further still, promote e cigarettes and vaping as an alternative to smoking tobacco. The first major piece of national campaigning to promote e cigarettes took place at the tail end of 2017, as Public Health England took the positive step advertising vaping for the very first time, as part of the Stoptober initiative; campaigning for the UK’s some 7.5 million smokers to take a break from cigarettes for 28 days in an effort to become smoke-free. VApril2018 saw the vaping and e cigarette community celebrate and come together to campaign nationally to promote vaping as a less harmful alternative to smoking tobacco. UKVIA teamed up with TV-Doctor Christian Jessen to spread a nationwide message to smokers to ditch the cigarettes and switch to vaping and importantly, was the first time that medical professionals, parliamentarians and the UK vaping industry collectively came together to send a message to smokers highlighting the less harmful alternative of e cigarettes to that of tobacco. Globally, the UK pave the way for vaping as an alternative to tobacco products, and in 2018, medical and health professionals from esteemed institutions joined UKVIA in their continued belief that e cigarettes and vaping provide a viable route to become smoke-free. In December 2017, the British Medical Association released a report reversing its previous opposition to e cigarettes and supporting vaping as a tool for cessation from tobacco. Earlier this year, the month of February saw Public Health England release their annual evidence review, which continues to support e cigarettes as up to 95% less harmful than smoking tobacco and that vaping has the potential for smokers to become smoke-free. Fast forward four months and in June of this year the Royal College of Physicians released a report recommending vaping to be allowed to take place on hospital grounds. Finally, in August the Science and Technology Committee came before the House of Commons releasing their report, making the significant backing that vaping and e cigarettes should be viewed as great public health opportunity.